I’m addicted to Pinterest. Addicted. I’ve had my eye on this recipe from Cully’s Kitchen for quite some time. After reading comments, I could tell it was too big of a portion for our crew of 2.5. But halving the sausage and pasta didn’t seem like a smart idea either. 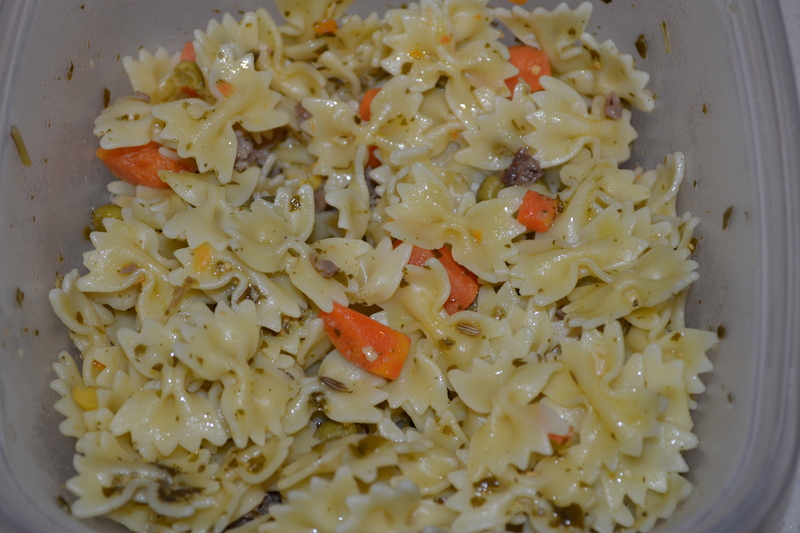 So…I sort of halved the recipe AND made a more K friendly pasta dish with the extras to eat/freeze. Here are my edits to Cully’s pizza casserole, as well as a pasta dish K gobbled up. In a bowl, mix 2-3 cups of cooked pasta, half a cup of cooked sausage, a small can/Cup of cooked veggies, and a couple of tablespoons of prepared pesto sauce. Stir well. Adjust portions to taste. I had enough for 2-3 portions for K this week, and still froze a couple of portions for down the road. He LOVED this. Spread a little spaghetti sauce on the bottom of the casserole dish. Layer half the pasta, half the sausage, half the spaghetti sauce, half the cheese, and a layer of pepperoni. 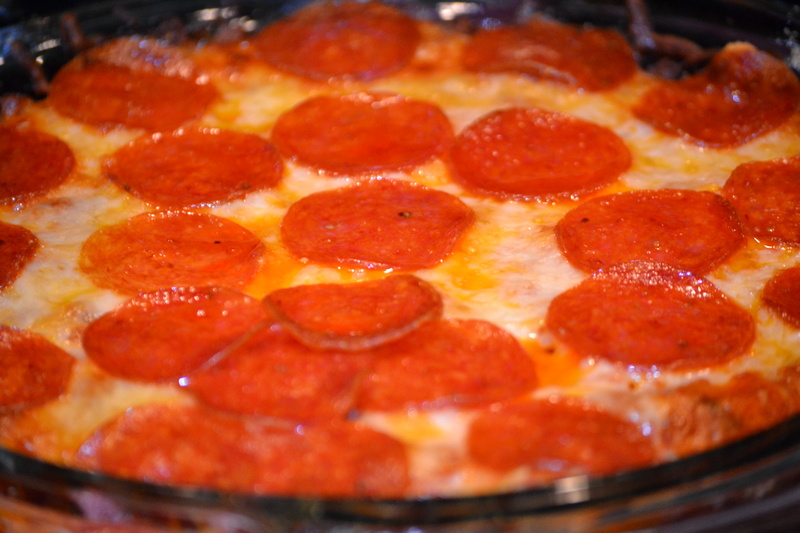 Repeat the layers and top with a full layer of pepperoni. Bake at 375 for 35-40 minutes. Let it sit for 5 minutes before serving.